Rib Eye Steak on the grill is the pinnacle of outdoor cooking. Follow our tips and tricks to get a PERFECTLY grilled ribeye every time! Rib eye steak seasoned with salt and pepper and tossed on the grill is one of my absolute favorite meals. 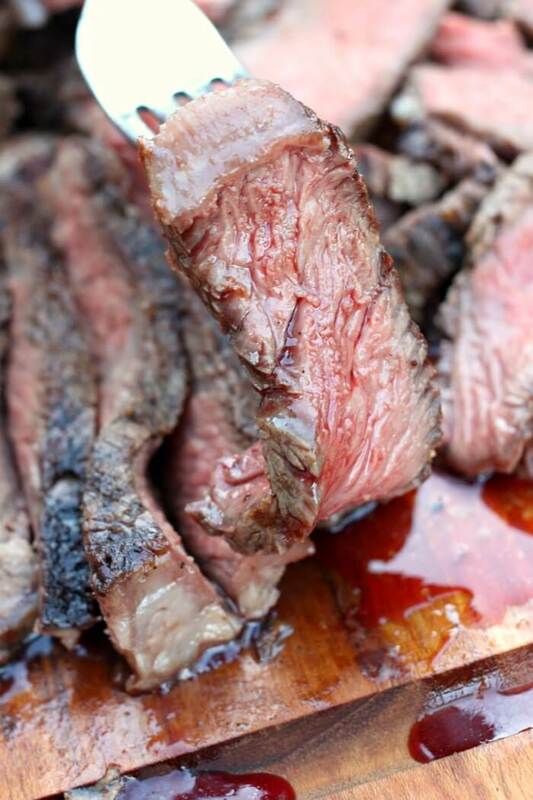 No matter how you like your steak, a rib eye will always come out tender and juicy. 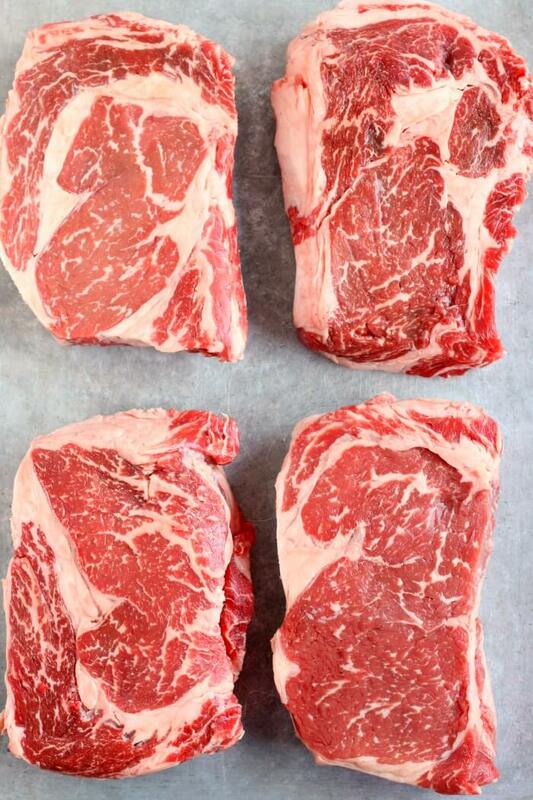 Be sure to get a perfectly marbled cut of USDA Prime Beef for the best result possible! Make your grilled rib eye steak with a side of yum yum sauce and some buttery roasted carrots – then finish it all off with an easy icebox cake! This post has been sponsored by Sam’s Club. Rib eye steak – We used a beautiful USDA Prime boneless rib eye steak from Sam’s Club. A ribeye should ideally be about 1.5 inches thick. Olive oil – I love a strong and fragrant olive oil when cooking steaks – it imparts a wonderful light flavor when grilled. Try the Member’s Mark 100% Italian Extra Virgin Olive Oil, sourced from Italy! 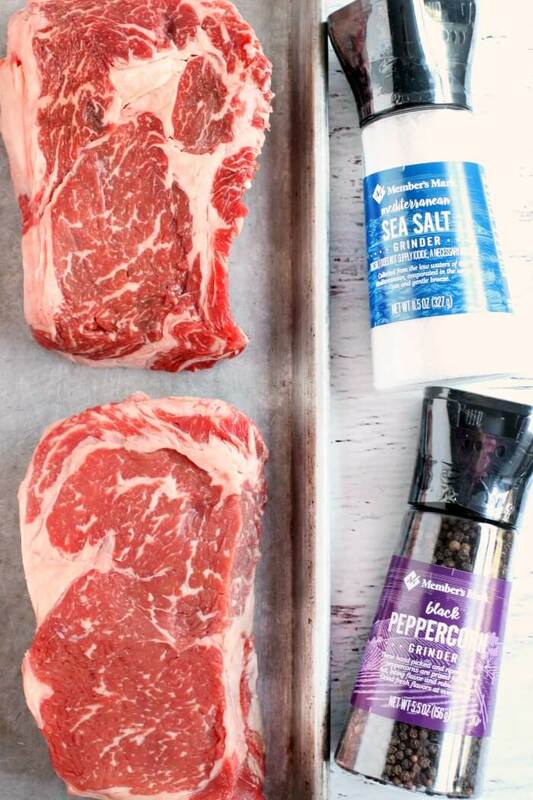 Salt – A good course salt, heavier than table salt, is what you want for seasoning rib eye. I like to use my grinder. Pepper – Freshly ground black pepper is ideal. Don’t be stingy, this tastes wonderful on your steak. I’m so excited! Just in time for grilling season, USDA Prime Beef is now available in all Sam’s Club locations! We got these beautiful rib eye steaks, and eyed several other gorgeous cuts, while we were there. You can get any of your favorite grilling cuts of USDA Prime beef at all Sam’s Club locations including Ribeyes, NY Strips, Tenderloin Filets, Sirloins, and even Briskets (perfect for Corned Beef and Cabbage!). Prime Beef is the highest USDA graded beef available in the marketplace (even better than Select or Choice!). 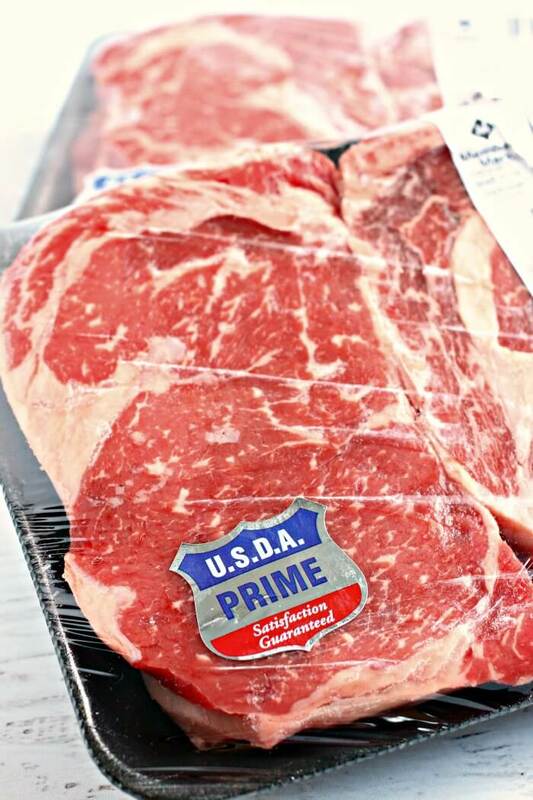 Did you know, only 10% of beef in the US qualifies as USDA Prime grade. Because of the amazing quality, marbling and tenderness of USDA Prime beef, very little prep is needed – as you can see we just used oil, salt and pepper before searing to perfection on the grill. 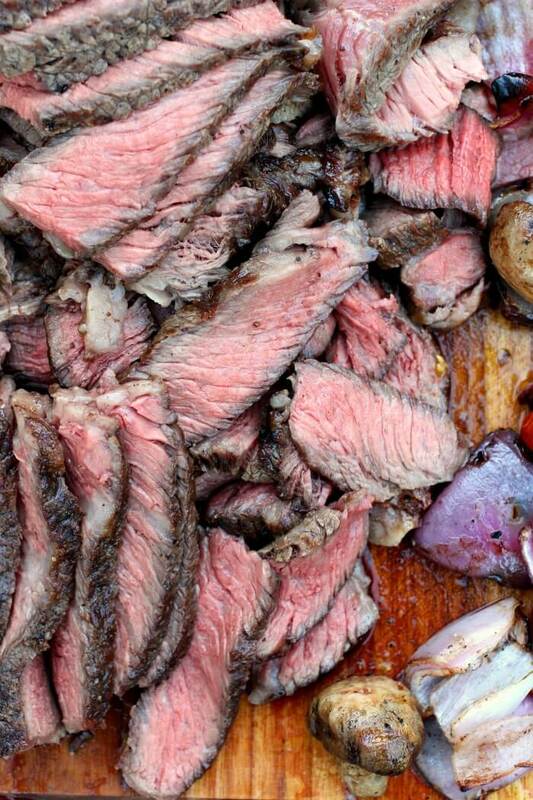 First, lay the rib eye steak out on a baking sheet or tray and brush all sides lightly with olive oil. Next, liberally season all sides with salt and pepper. Then, allow to rest for several minutes. Finally, grill over high heat until center reaches desired temperature. Rib eye steaks are good because rib-eye steak has great marbling (veins of fat running through it), which provides tons of flavor and enough fat to keep the meat tender while cooking. 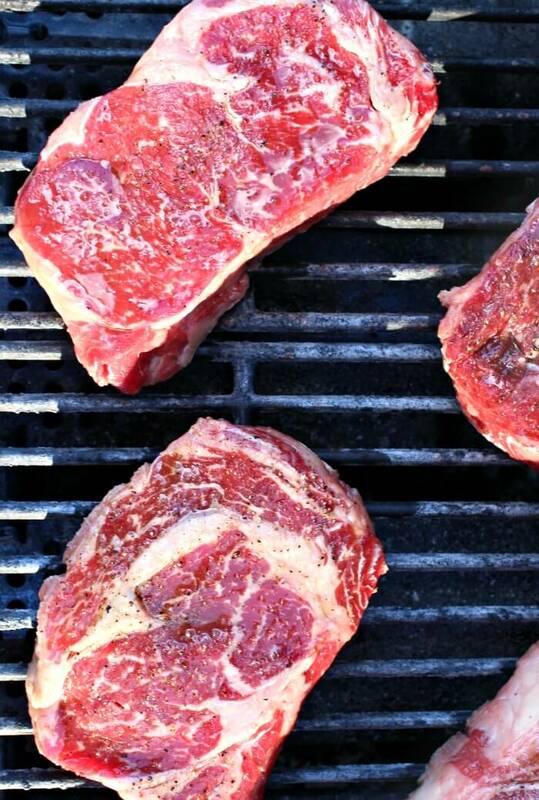 Is Boneless or Bone in Ribeye Better? Conventional wisdom says bone in meat is generally better – however, I find that there are pros and cons to each. While a bone in steak will often be juicier and arguably slightly more flavorful, a de-boned piece of meat will be easier to cook evenly. I know it is contrary to what most experts recommend, but for this reason I usually purchase boneless rib eye steak. 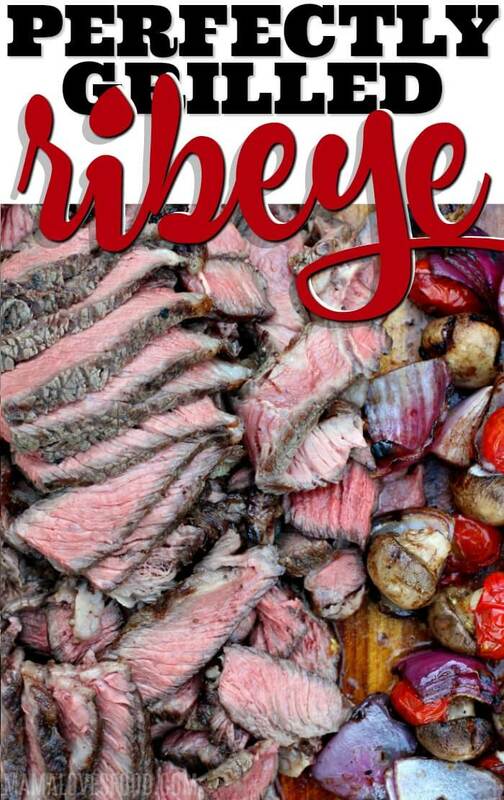 What is the Difference Between Prime Rib and Ribeye Steak? If you’re wondering are prime rib and ribeye the same thing, the answer is no. 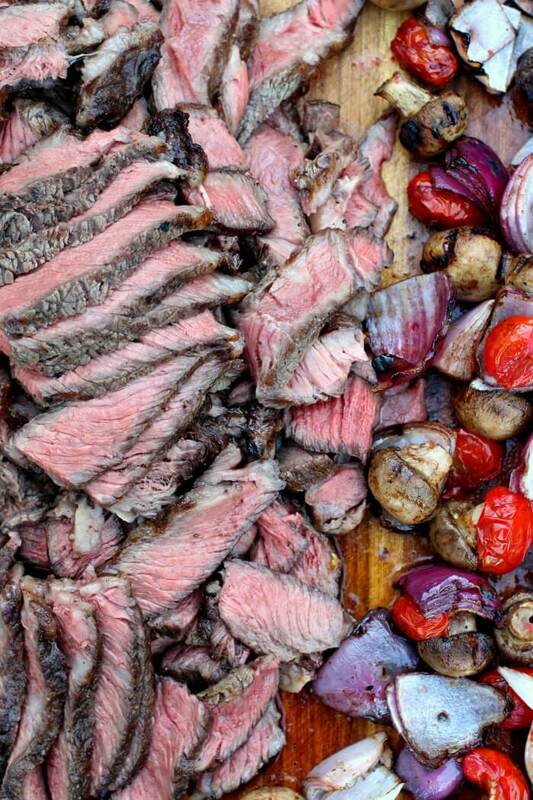 Both prime rib and rib eye are cut from the rib of a cow. The difference is that prime rib is typically a big cut of beef that contains a large bone, while a rib eye is a smaller steak that is boneless or only has a small piece of bone. 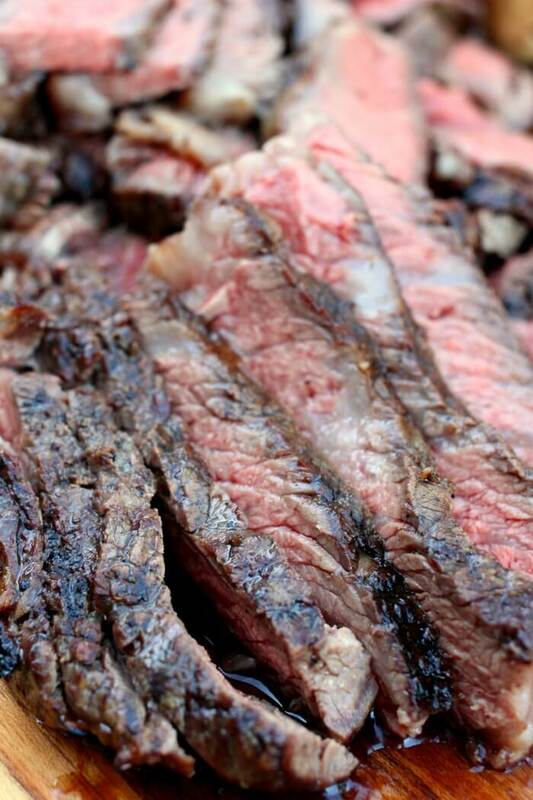 A proper prime rib is cut from the best part of the rib, the “prime” part. What is the Best Way to Cook Ribeye Steak on the Grill? Season rib-eye steaks olive oil and a generous helping of salt and pepper all sides. Place seasoned steaks on a hot grill, and cook for 4 to 6 minutes on each side for medium-rare. We recommend turning the steaks about once every two minutes for the juiciest result. 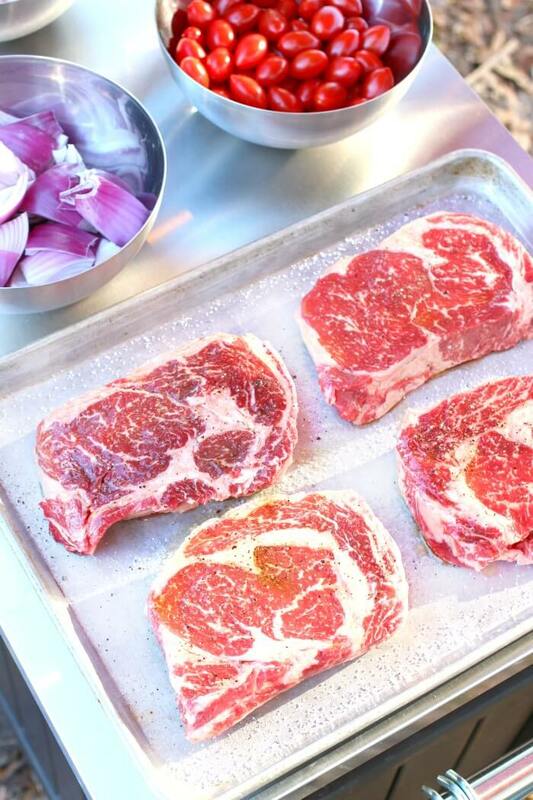 Remove the steaks to a cutting board and allow to rest for at least 5 minutes before cutting. 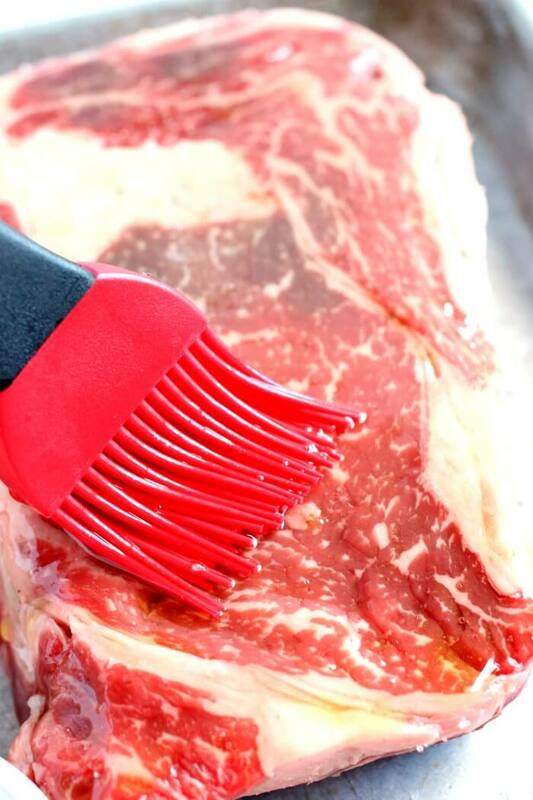 If you are new to grilling, a meat thermometer is the best way to know when to remove your rib eye steaks from the grill. Medium rare is between 130°F to 135°F. A rib eye steak is naturally very tender (especially if you choose USDA Prime Beef), but to tenderize a ribeye steak even more, you’ll want to salt it before grilling and allow the salt to break down the fibers of the meat. You can massage the salt into the steak if you like for maximum results. It is recommended that for maximum flavor and juiciness, the rib eye steak should be cooked to medium doneness (145F) or less. I personally believe rib eye is best when cooked to medium-rare (135F). That said, you should cook the steak to your preferred doneness. The whole point is to enjoy your meal! A thick rib eye steak (2 inches or more in thickness) can be a little bit trickier, as we do not want to overcook the outside, but we do want to make sure the inside of the steak reaches our preferred temperature and doneness. To cook a thick ribeye, you’ll want to grill it on both sides (flipping about every two minutes), until the exterior has about finished cooking. Then, turn one side of the grill off, and move the steak to that side. Close the grill and continue cooking the steak away from the direct heat until the center of the steak reaches your preferred temperature. What Temperature Do You Cook Rib Eye Steak on a Gas Grill? 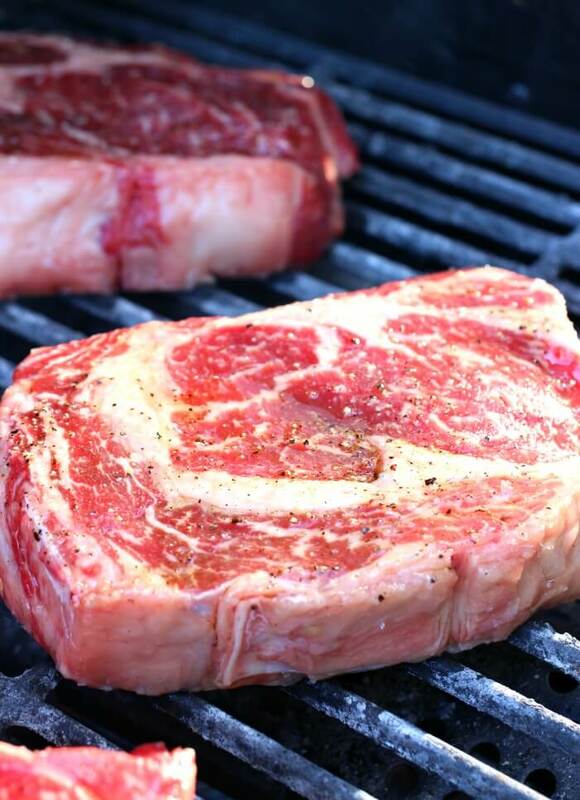 The best temperature to cook rib eye steak on a gas grill is about 500 degrees Fahrenheit. This is hot enough to give you a good sear without charring or over cooking the steak. 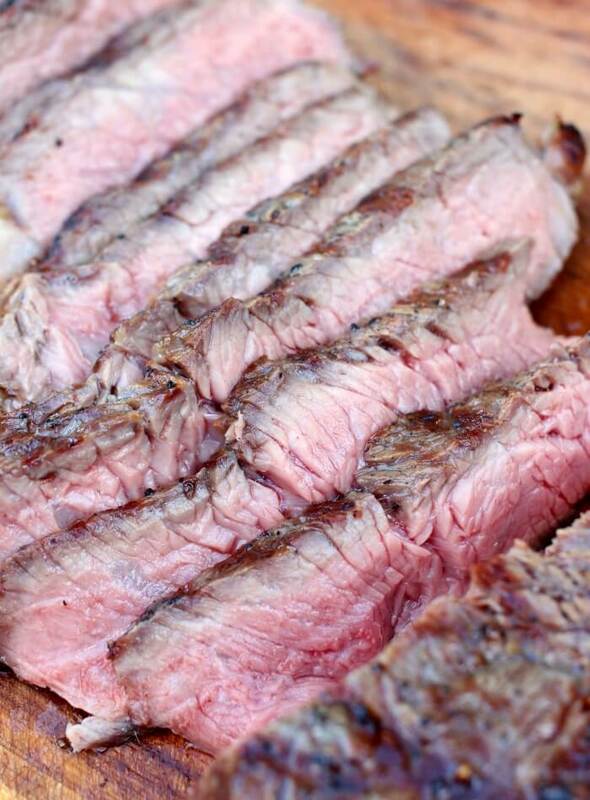 Rib eye steak should rest at least five minutes and up to fifteen minutes before slicing. When you rest the meat it will lose less juice when you cut it and the end result will be juicier and tastier. Steaks should stand for 5 minutes before serving, but not not less than 3 minutes. 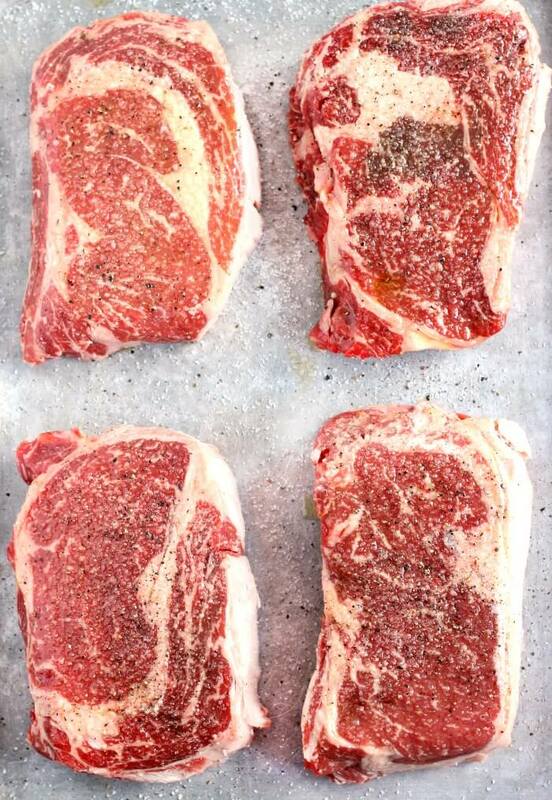 ★ Purchase USDA Prime Beef steaks for the best quality and flavor. 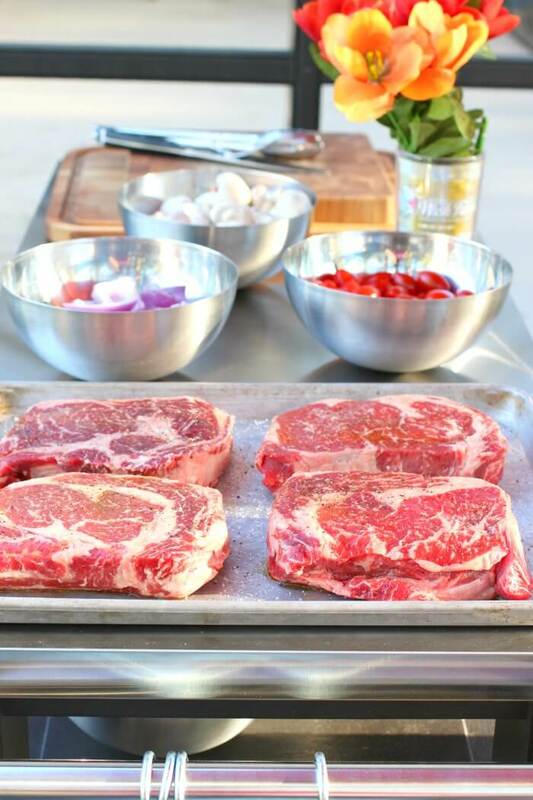 ★ Make sure to salt and pepper your meat at least ten minutes (and up to 30 minutes before grilling. This will allow the salt to tenderize the ribeye steaks. 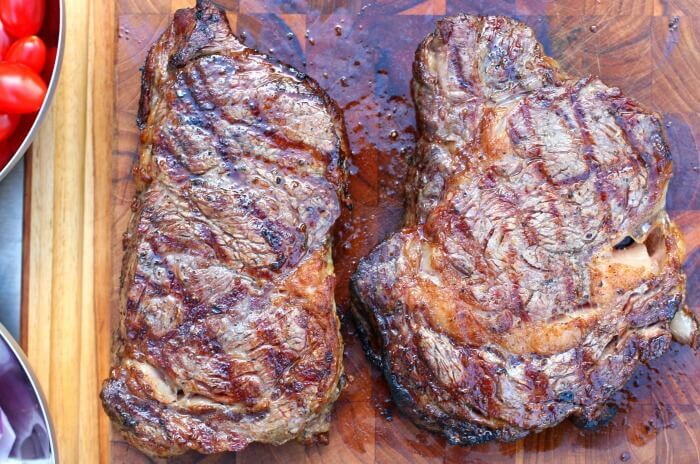 ★ Always allow the steaks to rest several minutes before cutting them. 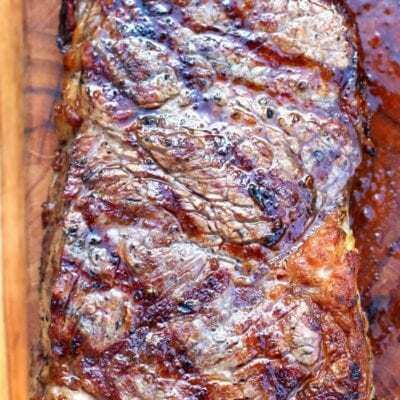 ★ Slice your steaks thinly against the grain for optimum tenderness and mouth feel. Uncooked rib eye steak should never sit out more than two hours, though ideally it should be less. Food that sits out more than two hours is considered in the “danger zone” and can harbor dangerous bacteria. Uncooked rib eye steak that has been purchased before its sell-by date may be stored up to 3 days in the refrigerator. Make sure it is unopened and remains in its pickling juices. You can freeze rib eye steak before cooking. Make sure the steak is in a sealed airtight container, and it will last up to 6 months in an upright freezer or as long as a year in a chest freezer. I love stocking up and storing steaks in the freezer when I find them at a great price at Sam’s Club! Store leftover rib eye steak in a sealed air tight container in the refrigerator. For best results, pour some of the meat juices over it before storing. Leftover rib eye steak lasts in the refrigerator for up to three days when stored properly. You can freeze leftover rib eye steak for up to three months in an upright freezer or six months in a chest freezer. After that time, the quality and texture of the meat will begin to degrade. Not only can you now pick up USDA Prime Beef at Sam’s Club, but you can get everything you need for grilling! Even the grill! In addition to the rib eye steaks, we picked up our oil, salt and pepper, a grilling station (definite MUST HAVE! ), a shade umbrella, and some comfy outdoor seats. 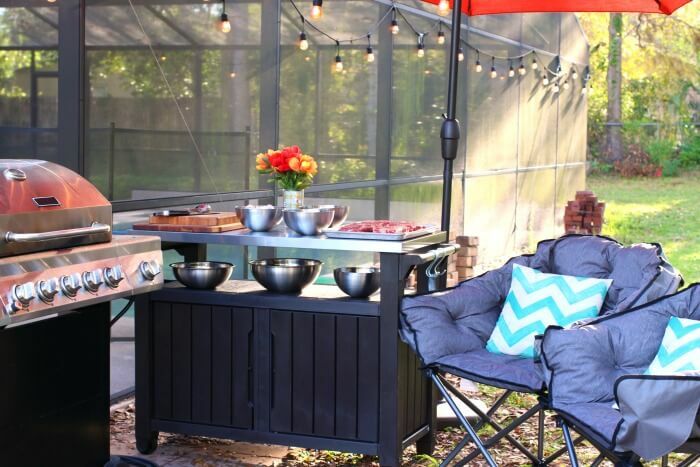 Entertaining can be beautiful AND affordable with Sam’s Club – there are so many reasons to love it. Head to Sam’s Club for all things spring, from delicious, ready-made meal essentials to festive décor and more and make your life easy by using Club Pickup – order ahead online and Sam’s Club associates will have items ready when you arrive! You can also skip the checkout lines with Scan & Go. Scan items as you shop and pay from your phone with Scan & Go on the Sam’s Club app. Make sure you’re following Sam’s club on social media to see all the latest! These awesome grilling tools are available at your local Sam’s Club! 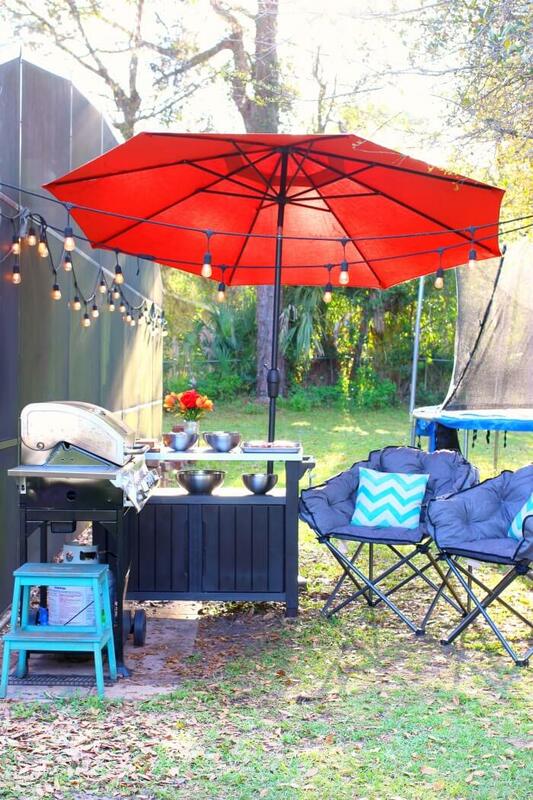 Grilling station – It is so convenient to have a grilling station, especially on that is on wheels! I can prep the steaks away from the heat of the grill and then roll it next to the grill when I am ready. Tongs – Long sturdy tongs are key to grilling without burning your knuckles. Steak knives – What else would you cut a gorgeous steak with if not a steak knife! 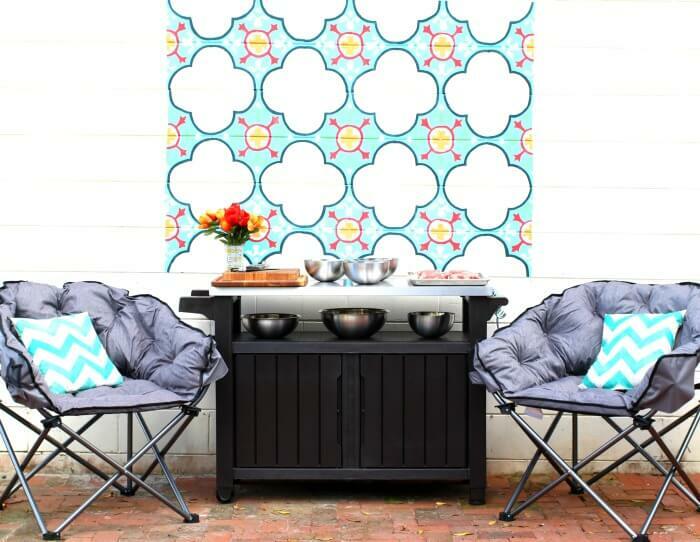 Outdoor chairs – I love having light foldable (but still comfortable!) outdoor chairs to set up next to the grill. Perfect for relaxing with a cool drink and enticing a friend to keep you company. Shade umbrella – There’s nothing worse that the hot sun beating down on you while you’re cooking over a flaming hot grill. Definitely invest in a shade umbrella to make the most of your grilling experience. We chose a 10′ market umbrella from Sam’s club with the auto tilt feature, and Sunbrella® fabric (so it will last in the hot Florida sun!). It even has a carry bag included! 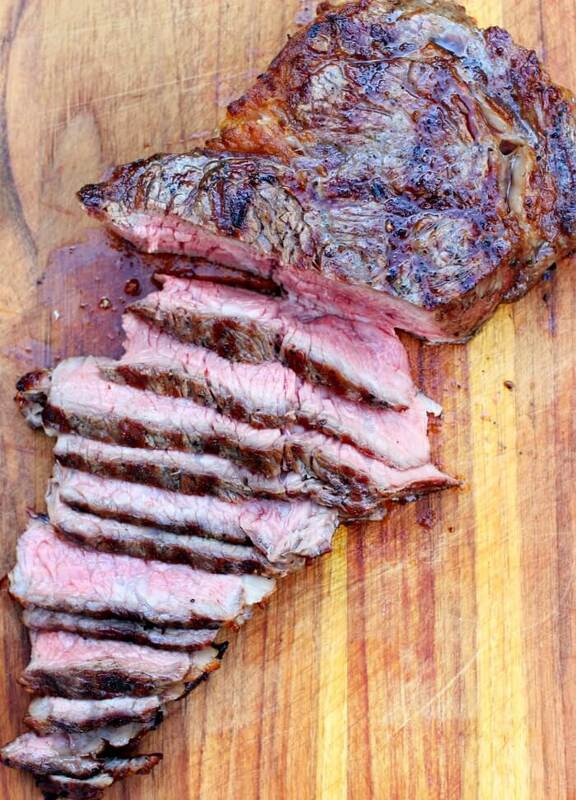 Lay the rib eye steak out on a baking sheet or tray and brush all sides lightly with olive oil. Liberally season all sides with salt and pepper. Allow to rest for several minutes (at least 5 and up to 30). Grill over high heat, turning about every two minutes, until center reaches desired temperature. 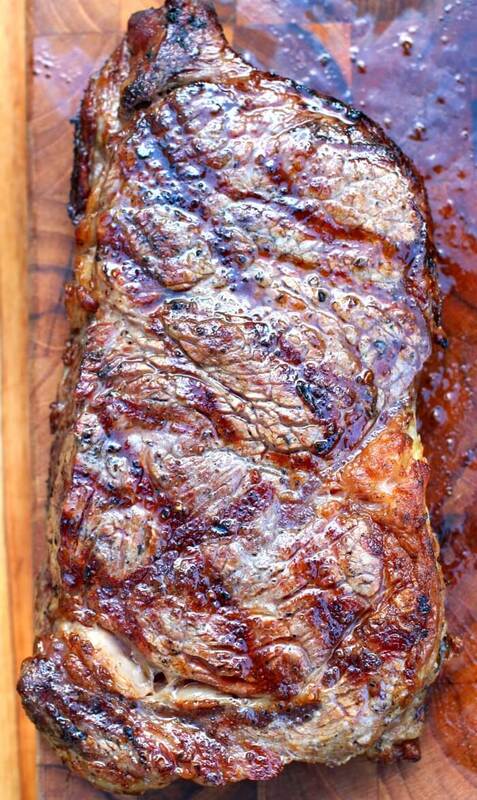 Amazing steak recipe! Love it! 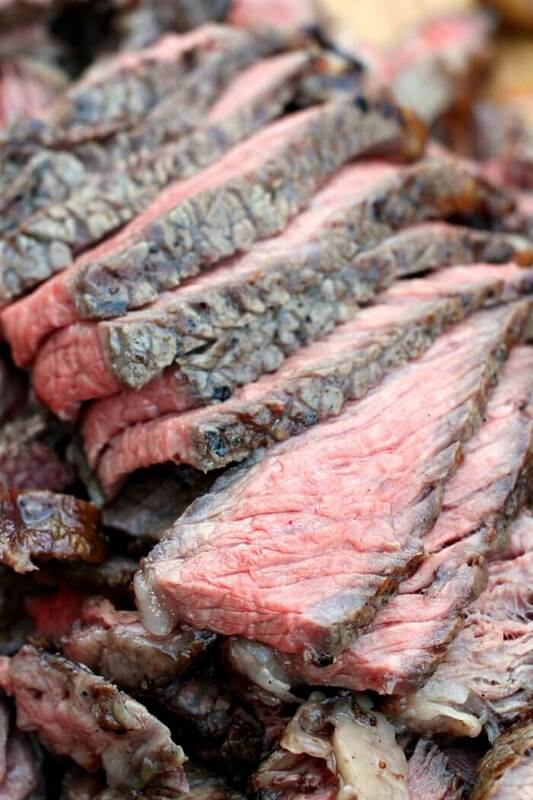 There is nothing better than a perfectly cooked rib eye! 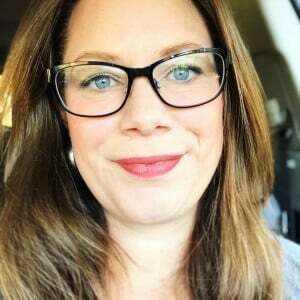 Great info on my ffavorite piece of beef.. Can wait to follow you advise. I am an amateur at grilling. Not any more. Thank you! !.